December | 2011 | What's New at Rainnea Ltd.
Here’s an unusual and very special commission, the handle is made from a whale tooth which was recovered by our customer from the carcass of a beached sperm whale. 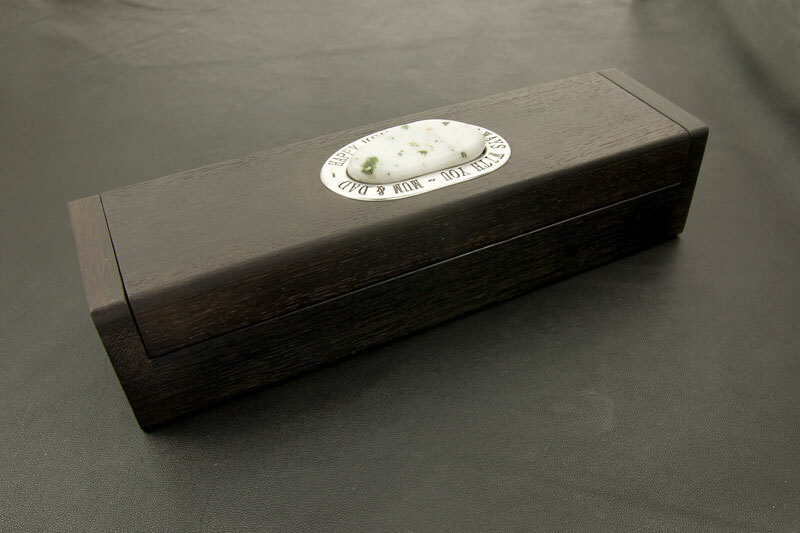 The back of the handle and the box are made from 5300 year old bog oak. The blade is made from Swedish Damasteel from the foundry we visited earlier in the year. On the lid of the box is an Iona Marble pebble found by the son, set in Sterling Silver and engraved with a personal message. This was a very unusual and challenging project for me; however I enjoyed working with our customer to develop and shape his design and ideas and I’m very happy with the way it all came together. Here’s a recent custom made guitar pick we made for Lianne who kindly allowed us to post this picture and her comments. “Received the plectrum 10 mins ago, I am absolutely over the moon with it. It is totally amazing!! I can’t express how impressed I am!! I will recommend you to everyone and use you always for all jewellery needs. Have a wonderful Christmas and thank you!! 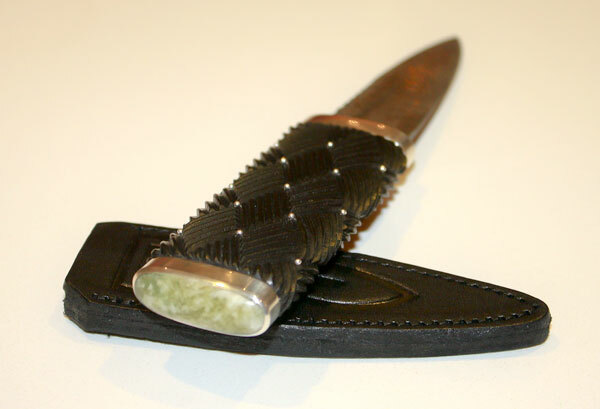 Here’s a very interesting commission I undertook for David, a Geologist from Canada, who wished to a have a Sgian Dubh made with an obsidian blade (obsidian being a volcanic glass) and incorporate a pommel stone from his family’s ancestral croft. 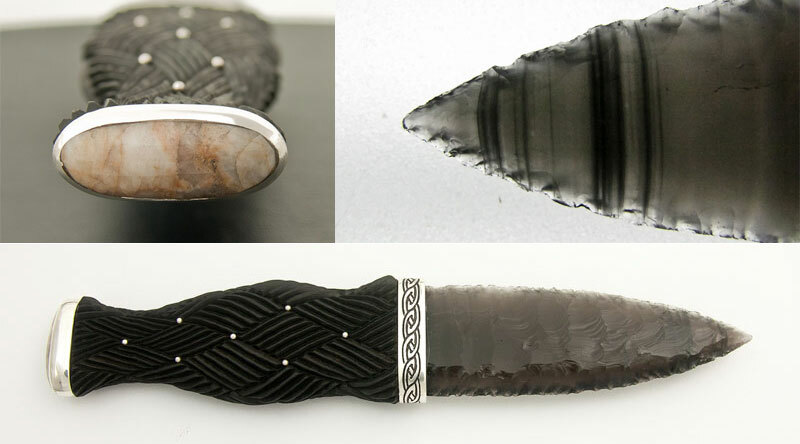 We were fortunately able to have a knapped obsidian blade made to my drawing by Tony Stanfield in Oregon and incorporate that into an Ebony handle I carved with a cross-hatch weave. I sent this down to a skilled leather worker, Terry Osborne in Northumberland who made a lovely leather sheath, wet molded to perfectly fit the knapped blade. 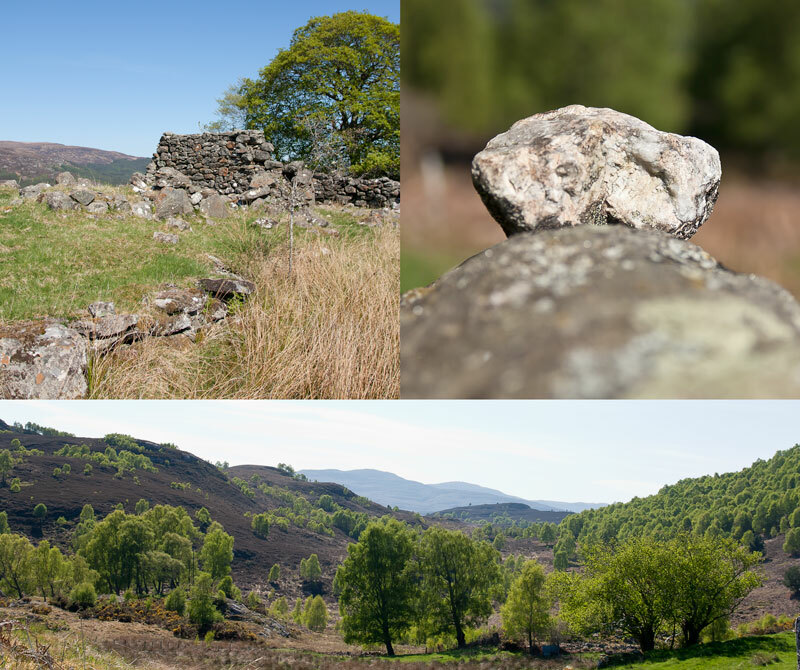 For the pommel stone, on a lovely summer’s day we took a family outing and visited the old croft at Caphluich, Tarvie which was built by David’s great-great-great-grandfather around 1800, although sadly now it’s just ruins. 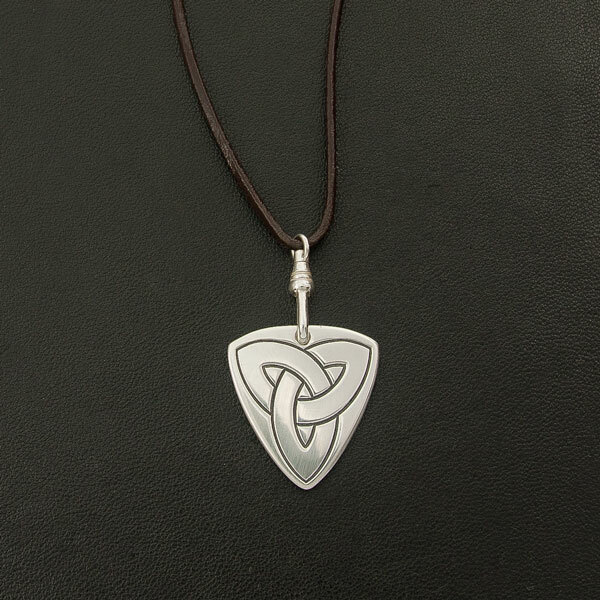 We sent a small rock from there to Renato Forno at Scottish Gemstones who cut and polished it to fit our Sterling Silver ferrule top band which was hallmarked with our maker’s mark at the Edinburgh Assay Office. “It is with great joy that I announce the arrival of SGRS16 to its new home in Canada! …I turned it over in my hands smiling the while. I slid off the black wet-formed sheath to expose the black blade (black in reflected light!) I held the blade up to the light and joy of joys, there is a powerful striped texture to the depth of the blade. The ebony handle is comfortable to the hand, the seven pins handily identify the front of the haft, and the carved ebony just adds to the overall effect. 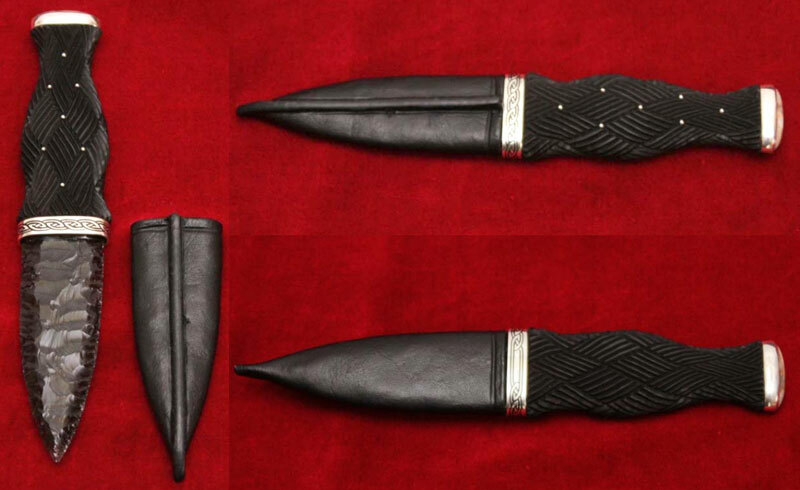 Rab, my sgian dubh is nothing short of magnificent! We’d like to share this email and photos. Thank you to Andrew for his permission to post these.